Videocon is a company with operations in diverse areas like consumer electronics, home appliances, and entertainment. Their primary products are televisions, air-conditioners, refrigerators and washing machines. They recently have also got into direct digital broadcasting and cable networks and also sell mobile phones and tablets. The company registered an annual revenue of INR 30.72 billion and the CAGR predicted is around 15 percent in the d2H segment. The company was set up almost 4 decades ago and started off with television manufacturing. They have registered steep growth primarily because of their strategy to look at diversified sectors. Currently, Videocon also has business interests in areas like power, oil exploration, and telecom. History: Videocon is backed by a rich history of presence in the electronics segment. The company was the first to secure a license to make color televisions and in a matter of ten years, the company diversified into washing machines and air-conditioners. Presence in diversified sectors: The company has the presence in a number of sectors such as home appliances, consumer electronics, digital television, oil & gas, retail, telecommunication and power. There are also talks of a purchase of Videocon getting ready to purchase an IPL team in India. 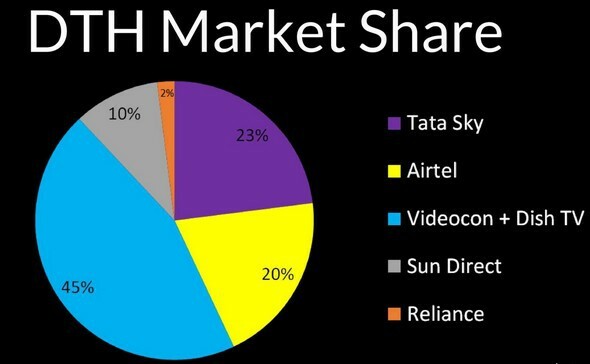 Steep growth in dtH connections: Though Videocon was one of the last entrants in the DTH market the company has around 10 million customers which it has secured in the last four years. The company is currently the market leader in the high definition categoryin India. Good customer connect: The company has extremely good customer connect and the research on consumer behavior is strong which is helping it to develop products that are in tune with what the customer wants. This has helped them reinvent themselves even in trying times and they have even channeled their diversification moves in accordance with customer feedback. Oil & gas exploration: Videocon discovered the oil and gas field in Mozambique and this has six times more potent than the oil and gas discovery of Reliance and BP in the Krishna Godavari basin. Propensity to take the right risks: The company has always been taking the right risks and many of these risks have proven to be fruitful for the company in the long run. 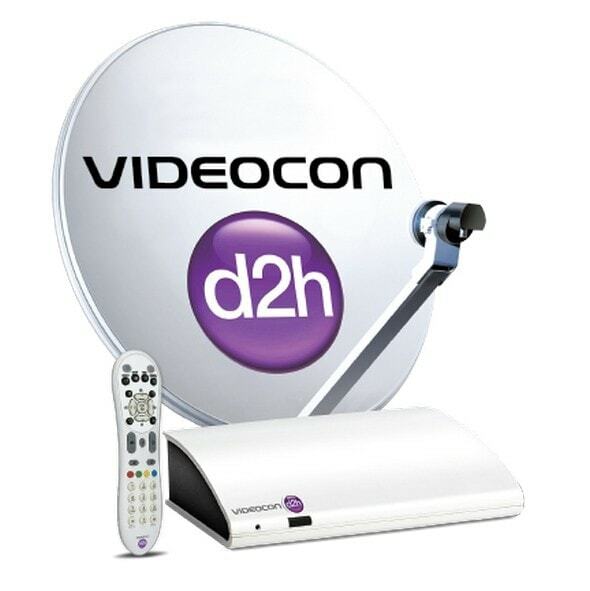 Some examples of profitable risks taken by Videocon include the foray into oil & gas and DTH. 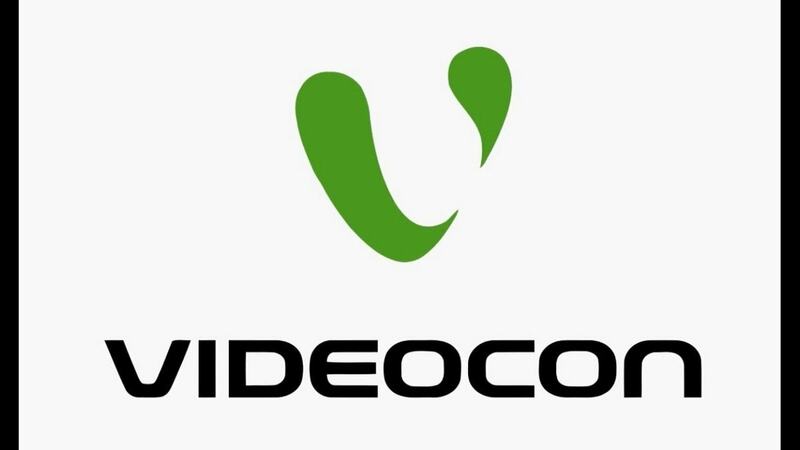 Scaling up of operations: Videocon has operations in various domains and there is high competition in each of them.In order to be profitable, it may be necessary for the company to scale up their operations which may be difficult for Videocon in its current scenario. Over-dependence on oil & gas: Videocon is a debt-ridden company and the company is highly dependent on their oil & gas business to clear off their debts. The company has debts to the tune of INR 27,000 crores and the only profitable business currently for the business is oil & gas. Investment in unknown business areas: Videocon diversified into areas like DTH and insurance and mobile phones which are not part of their core areas of expertise. Some of these areas involve expensive licenses like telecom for example or financial services which are proving to be a costly affair. High stakes in consumer electronics: Videocon depends on the consumer electronics division which sells televisions, washing machines, air-conditioners etc and it contributes to almost 90 percent of their profits. This is a highly competitive sector and thus the margins are lowering day by day. New segments: There is a lot of focus on new technology areas like artificial intelligence and machine learning which are going to lead to new segments like interconnected devices and smart technologies. This can create a lot of new segments for the company to target in consumer electronics domain. Expansion to foreign markets: With IoT, the demand for home appliances will increase and people will want to invest in smart devices. This can create a surge in demand for home appliances that are based on smart technologies in a global level. Competition: The main competitors of Videocon are Sony, Whirlpool, IFB, Samsung, Airtel, Tatasky etc.. Ethical Issues: In some of their business areas like insurance and telecom there are lots of challenges in areas like distribution of bandwidth, licensing etc and these are creating serious ethical dilemmas for the company.